While the left is still screaming ‘Russian collusion’ they are mostly silent about the collision that happened and has now been exposed regarding Hillary Clinton’s wrongdoings. Here’s the deal, ABC News was given a draft of the remainder of the Inspector General’s report that reveals disgraced fired FBI Director James Comey went acted rogue and “defied authority” while at the FBI. A second leak reports that Barack Obama’s Attorney General Loretta Lynch wanted and tried to do anything to hide Hillary Clinton’s wrongdoing from the American people. The draft of Horowitz’s wide-ranging report specifically called out Comey for ignoring objections from the Justice Department when he disclosed in a letter to Congress just days before the 2016 presidential election that FBI agents had reopened the Clinton probe, according to sources. Clinton has said that letter doomed her campaign. 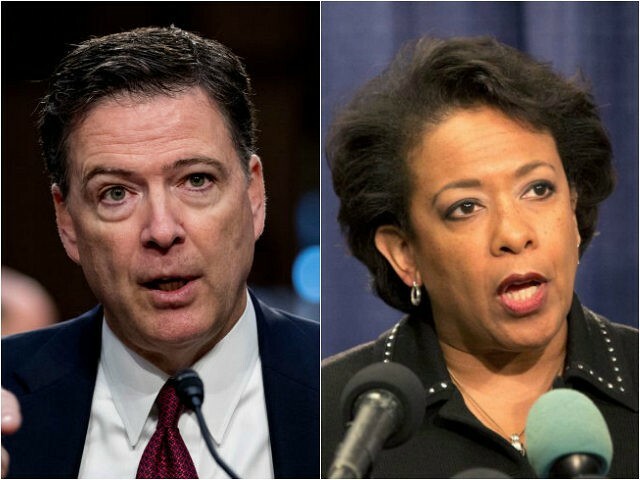 And not to forget that James Comey lied about any knowledge or there being any documents for that matter about the Bill Clinton/Loretta Lynch tarmac meeting. it turns out there were. In-fact Hundreds of documents were just recently turned over. BUSTED!. “It’s also absurd that there were never, as James Comey said, any documents. He signed a letter saying under penalty of perjury there are no documents relating to the tarmac meeting. Now we know that there are hundreds of them. So there are three possibilities here. Either Comey lied or he didn’t understand the request… Either they’ve lost the documents and they’ve suddenly been found or they lied when they said there were no documents. Or they didn’t understand the request but the request, by the way, is standard boilerplate that every lawyer is familiar with.” – Fox Legal Analyst Greg Jarrett.